5つ星のうち4.0Give a good view and understanding of CAGED system. 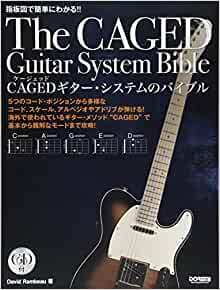 It goes to the point of CAGED system, with plenty of exercises to memorize all the important scales in every position. Then, it is up to the student to master each position and how to connect them. It is in Japanese so, may be difficult for non-speakers to get through it. The music samples are good for studies but lack musical beauty/interest but the student has the framework to compose their own.